A tactical level wargame, covering the battle of Valverde, fought in New Mexico Territory, on 21 February 1862, between the Union forces (and New Mexico volunteers) led by Col. Edward Canby and the Confederate Army of New Mexico (mostly Texas troopers and Arizona volunteers), led by Brig. Gen. Henry Sibley, during the Confederate offensive into New Mexico. 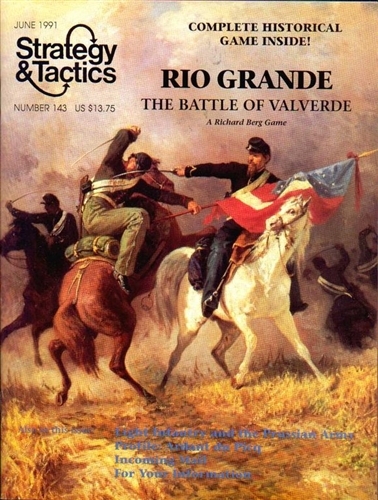 The game highlights cavalry vs. infantry fighting.